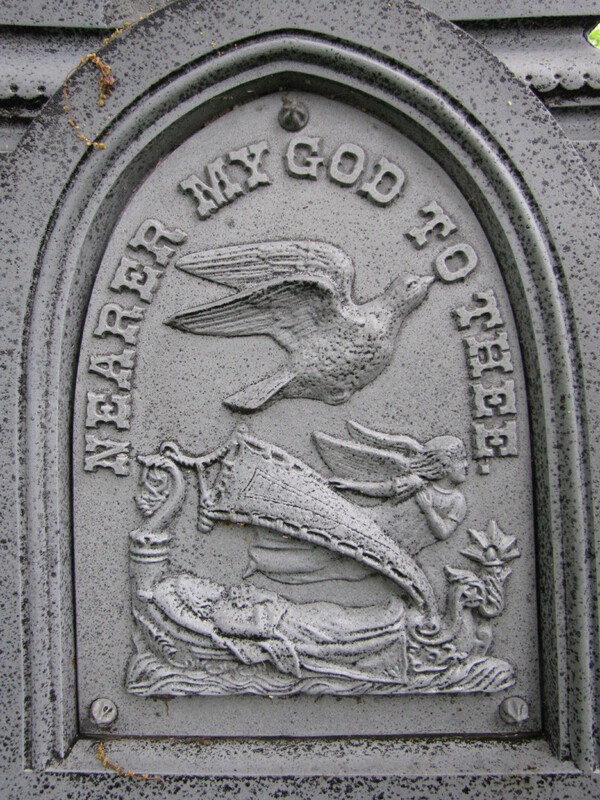 The Western White Bronze Company of Des Moines, Iowa, and the other companies that produced zinc funeral monuments made many variations. The popular symbols came in multiple forms. The various symbols could be bolted in place by special order much the same way that an erector set is bolted together. Sometimes a symbol was available in a bas-relief and sometimes it could be purchased as a statue in the round. Others such as this boat could be found by itself or with a dove ascending over the boat. Since ancient times, the imagery of the boat to ferry a soul from one realm to the other has been a part of the symbolism of death. In Greek mythology, the River Styx wrapped its way around Hades (the Underworld) nine times. To cross from this life to the next, the dead had to pay with a coin to be ferried from the realm of the living to the realm of the dead. The toll was placed in the mouth of the deceased to pay Charon, the ferryman. It was said that if the dead person did not have the coin, he was destined to wander the shores of the River Styx for a century. 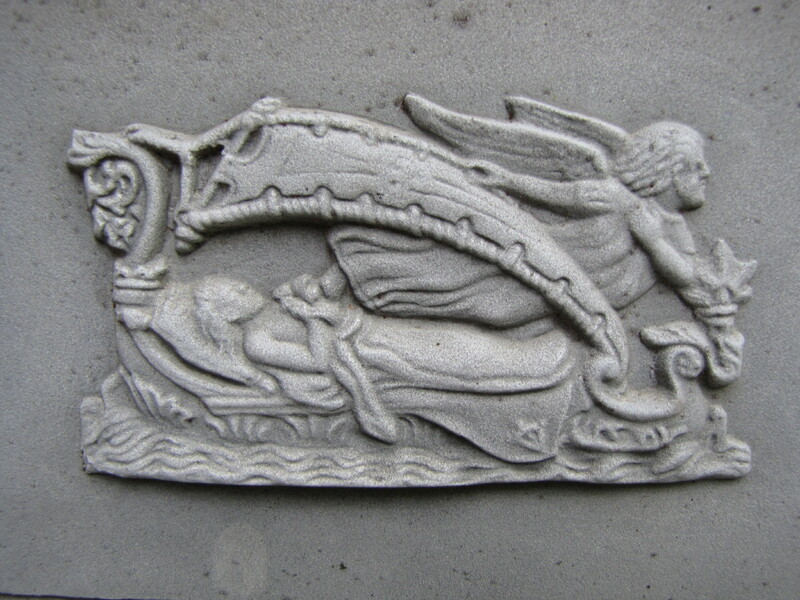 The “boat” was one of the images found on Victorian graves to represent the crossing from one world to the next. In the case of the marker above, it is not Charon ferrying the soul to the other side but a winged angel, whose way is lit by a torch radiating light on the front of the boat. In the marker below a dove is added. Many symbols found on gravestones have multiple meanings. The dove is one of those.